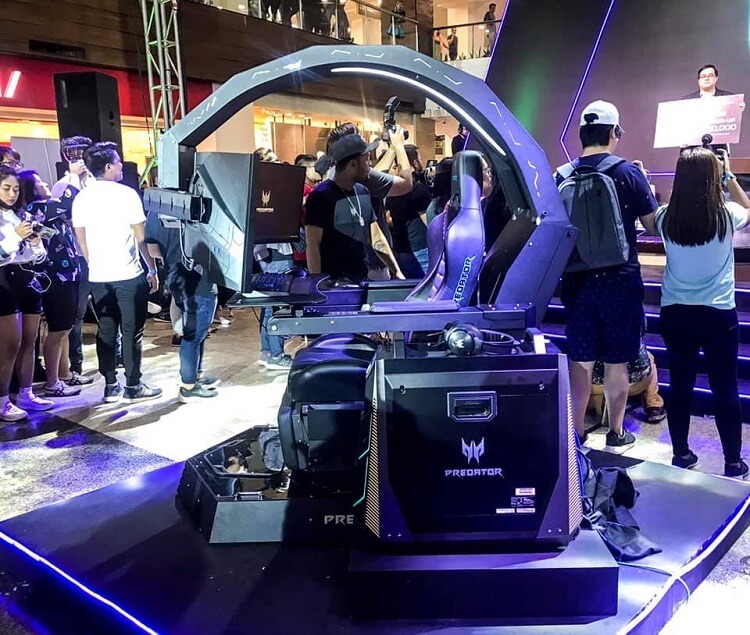 As part of the Predator League PUBG Philippines Finals, Predator slightly stole the spotlight away from its winners to launch its futuristic gaming chair – the Predator Thronos. Being 1.5-meter tall, the Predator Thronos Gaming Chair comes with brave design that gives off a competitive atmosphere to boost gamers’ vibe. The device is dressed with a steel structure complemented with a motorized cockpit for adjusting your screen setup. It comes in dual-tone black paired with blue-white accents as well to deliver the brand’s trademark color variant. To add more intensity, the gaming chair also features a haptic sound, allowing it to vibrate in synchronization with the sound of the games. It enables gamers to play comfortably, too, as it sports adjustable and ergonomic design, plus a cabin that reclines up to 140 degrees. Meanwhile, the overhead brace supports three 27-inch gaming monitors, and a space for a Predator gaming PC. The Predator Thronos is customizable. Its CPU is interchangeable from POS-610 RGB, PO9-500 RGB, and PO9-900 RGB. Gamers can also choose from different monitors such as the Nitro XV27U P, Nitro XV273K P, and Predator XB273K. The Predator Thronos is priced at Php699,999.